With Hans Goltz, Galerie Neue Kunst, Munich, as of 1920 ; with Daniel-Henry Kahnweiler, Galerie Simon, Paris, until 1939; with Nierendorf Gallery, New York, 1939, until at least 1941 ; with Stendahl Art Galleries, Los Angeles ; sold to Louise and Walter C. Arensberg, Los Angeles, after 1941; gift to PMA, 1950. 1. 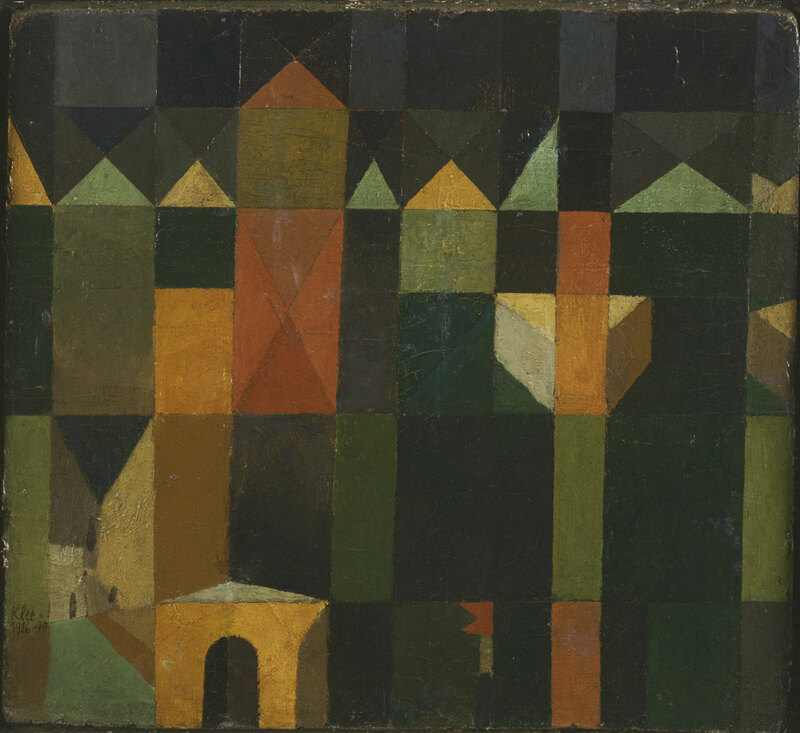 Exhibited at the Galerie Neue Kunst, "Paul Klee", May-June 1920, no. 4 (see also fragmentary label on reverse of painting). 2. See Paul-Klee-Stiftung, Kunstmuseum Bern, Paul Klee: Catalogue Raisonné, v. 4: 1923-1926, Bern, 2000, no. 1637. In February 1938, Kahnweiler, Klee's dealer, had granted sole representation of Klee's work in North America to Karl Nierendorf. "City of Towers" was included in the Nierendorf Gallery exhition, "Paul Klee," November 1941, no. 34. The back of the painting has a Nierendorf Gallery label, no. 315. 3. According to the Arensbergs' provenance notes dated December 1, 1951 (PMA Arensberg Archives, CA Use Tax), the Arensbergs acquired the work through Stendahl, although the catalogue raisonné states that it was purchased from Nierendorf.